Asphalt 4: Wow, a DSiWare game that is actually a full game and worth getting! 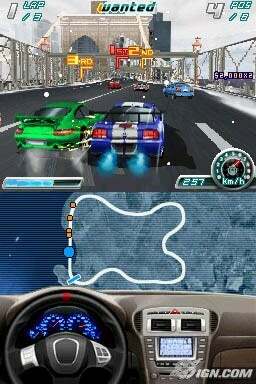 Asphalt 4 from Gameloft is the latest DSiWare game that is a full racing game with tons of content. IGN loves it, not only is it a solid racer on the DS, because it's a full game and not the demo type of stuff Nintendo's been putting on the DSiWare shop or those useless apps. It's also 800pts which IGN says is a steal! You know what seeing this makes me think about? Nintendo is missing out on a HUGE opportunity if they don't bring a VC to the DSi. 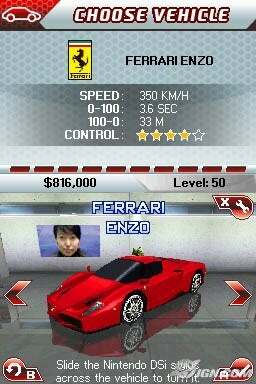 Asphalt 4 shows that DSiWare can be great and shows so much potential! Imagine playing all our favorite GBA, Gameboy, Gameboy Color, and games from other handhelds on the DSi! Sadly Nintendo said that a VC is not in development. Makes you say to yourself, "Why the heck not?" No seriously, why? *Sigh*...anyway, Asphalt 4 looks cool! well thats the thing, without VC game filling up DSi shop, gameloft can make a game like Asphalt stand out more to DSi consumers. They don't have to compete with Mario 64, Mario RPG, etc. No dude, you can justify it all you want but a lot of people, including myself still want a VC. 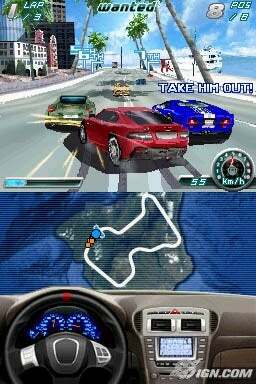 And Asphalt 4 is a port of a mobile game which was also on the N-Gage. And the series was on the DS before, if you didn't know already. In other words, it's NOT a original game made specifically for the DSi. I got this game on release date of the game, I was veryyy impressed with it. I like it a lot and the graphics are really good! I read about that the other day. looks cool. as far as VC goes. yeah, it'd be nice, but i'de much rather play new games i havnt played before. honestly, i like wii ware more than the wii VC. I wouldl pick it up, but I alreay have it for my iPod Touch where it only costed 99 cents. Plus, the graphics are even better :P Still, it's good to see a full, quality game on DSiWare.